Sign up for Broadjam today to follow Bard of Ely, and be notified when they upload new stuff or update their news! Bard of Ely is an eclectic singer/songwriter and poet. He is a real ordained Celtic bard and a member of several Druid orders. He has performed many times at Glastonbury Festival and also acted as MC for the Avalon Stage. Bard of Ely has had numerous radio & TV broadcasts and appearances. He signed to Crai Recs as singer/songwriter/frontman for TAFFIA & there is an EP released on the label. 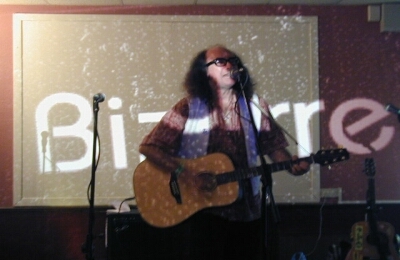 Also under his real name of Steve Andrews the Bard is the author of Herbs of the Northern Shaman (Loompanics). He is featured in depth in books by authors CJ Stone, Lionel Fanthorpe & Peter Finch.